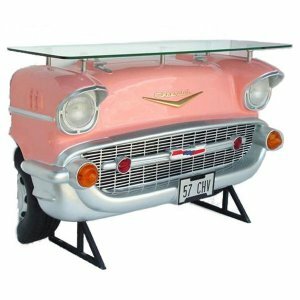 Themed Bar unit shaped like the front of a Chevrolet Car. A glass panel is mounted above the decoration for practical use. Our '57 Chevy Bar is ideal for a 1950's or American Diner themed event.